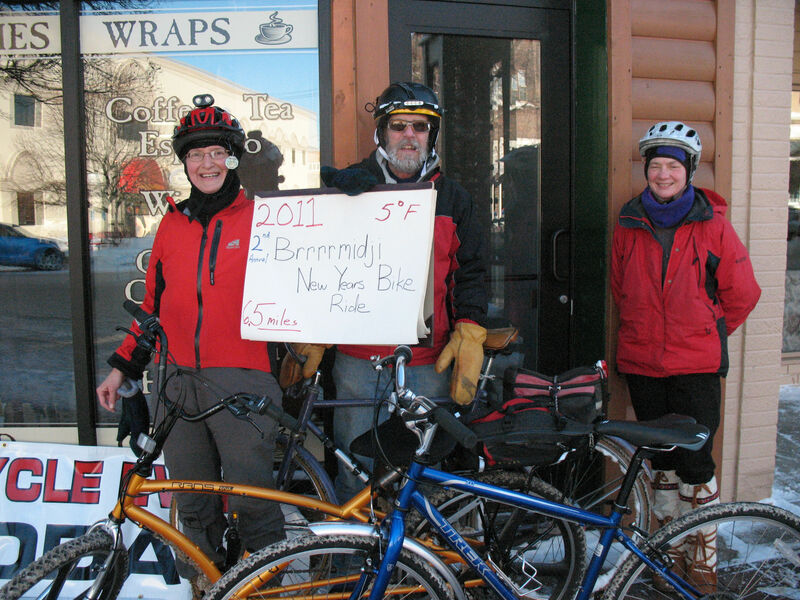 Thought I’d post a couple pictures from the Brrrmidji New Years bike ride. Three of us showed up at the Cabin on January 8th for a 6.5 mile jaunt around town. 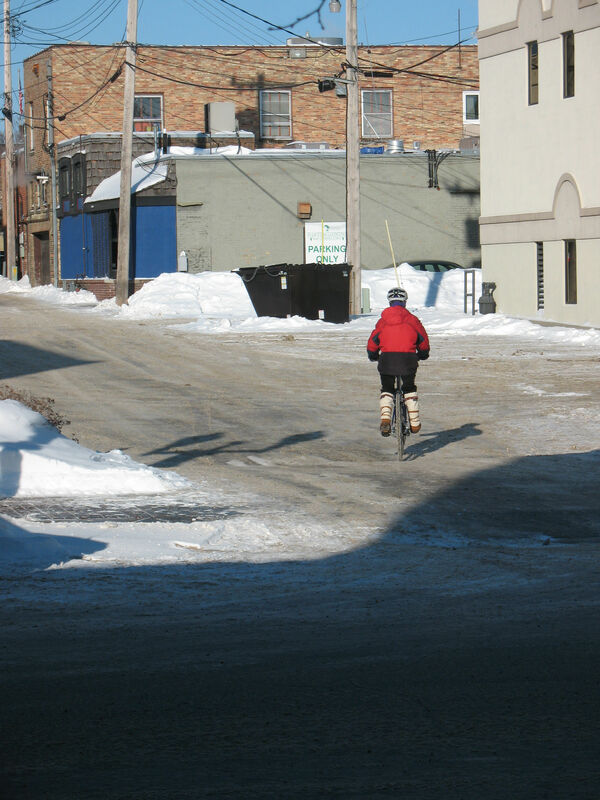 The ride is inspired by an event in Rochester where the bike club meets on New Years day to pedal one mile for each degree the temperature manages to get above zero. Last year was the first annual in Bemidji and we had trouble figuring out what to do since it was 10 below. 10 miles backward?!? We settled on 2.1 miles. This year the New Years Eve storm delayed the ride as we did not want to compete with snow removal equipment. We had a balmy 5 degrees at 1PM, nothing out of the ordinary for Harvey Tjader who commutes all winter long on his 1960’s Huffy. Diana Kuklinski rode the Blue Bomb, and I tried out my Rans Cruz crank forward decked out with studded snow tires. You know you are in Bemidji when you are out for a bike ride and you are passed on the road by a fishhouse! We enjoyed free cookies and two for one beverages provided by Noemi at the The Cabin. A fun afternoon. Join us next year! What was out-of-the-ordinary for me was riding in the daylight. My commuting in January is almost always in the dark!